In 2007, the Canadian government proclaimed October as Islamic History Month and in 2016, the Provincial government of Ontario proclaimed October as Islamic Heritage Month. Canada’s largest school board, the Toronto District School Board (TDSB), held a launch event on Monday at the Aga Khan Museum in Don Mills to announce the programs and initiatives the Board will be holding in schools for Islamic History Month (IHM) during October. In attendance at the launch were community members, dignitaries, artists, and elected officials. 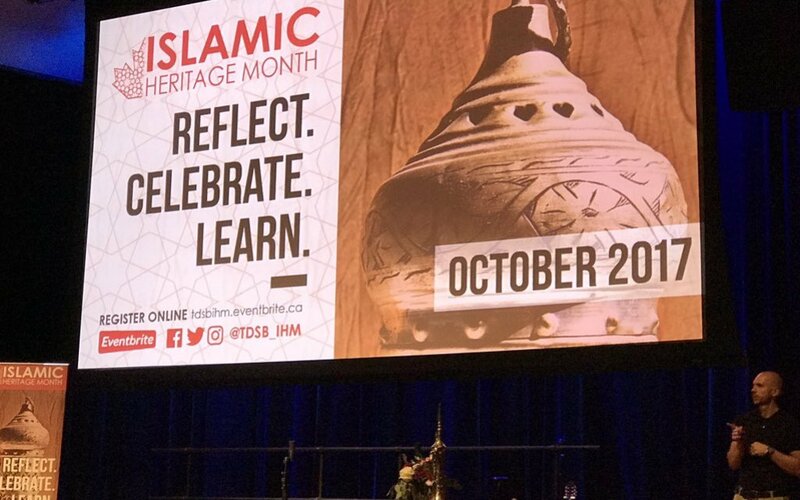 “It has been incredible to see the sheer momentum generated by a group of dedicated parents who wanted to see Islamic Heritage Month celebrated by their children’s schools throughout the month of October,” said Amira Elghawaby, National Council of Canadian Muslims (NCCM) Communications Director.